It’s Football Season in the South. Tailgating, the tradition of gathering and cooking before rooting for the home team, will commence throughout the Lake Area. Whether you gather at the house of a friend, the Cowboy stadium parking lots, or at a local restaurant and bar, here are a few suggestions to make your fun as safe and pedestrian accident-free as possible. Always be aware of your surroundings. Whether on foot or in a vehicle, moving around large groups of people calls for increased awareness. Take a look around and access the terrain of the places you will be walking. If you are on the side of the road or in a stadium parking, look to see is the sidewalk is uneven or there are holes in the pavement or yard where you are standing. Has it been raining? Avoid slick spots and puddles. Barricades are placed along tailgating areas to keep traffic out. Stay inside them in the area designated for tailgating fun. Attending a football game is lots of fun with the marching band playing the fight song, the cheerleaders encouraging you to cheer along with them, and the mascot amusing the crowd. Use the handrails going up and down the stairs to your spot for game watching. Look around the stadium row where you are sitting. Are there cups, pompoms, or food wrappings that you could trip over? Avoid them and stay accident-free. Having slip-proof soles on your shoes is another great idea when you’ll be spending time in bleachers and walking around parking lot areas. Driving into a parking lot or down the congested streets requires patience to get to the stadium. Out-of-towners join an increased number of locals area football games which means more vehicles are out on the road. Drive slower than usual. Be extra careful turning onto crowded streets and when parking. Those already out of their cars may not be watching for you so keep your eyes out for them. Local law enforcement and towing companies report increased calls at homes around high school and college stadiums during this time of year. Blocked driveways on or near the game place are the number one reason calls are made to wrecker companies during football season. Be courteous and don’t block drive-ways when parking a vehicle. Tickets for Driving Under the Influence are a risk is you indulge too much at your tailgate celebration. Have a designated driver. Alcohol and driving don’t mix. Make plans ahead of time so everyone cheering the home team with you can make it home safe. Respect personal space of people and pets. Never approach an animal, even if it looks friendly and is wearing the team colors and serving as the mascot, because animals can attack. 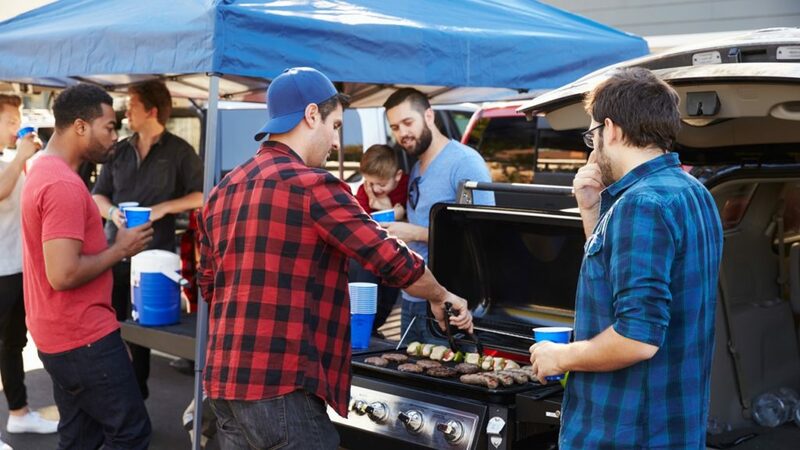 Use of these safety suggestions can help you avoid an abrupt end to your tailgating fun. If something does happen and you need help from a lawyer who can handle pedestrian accidents, contact N Craig Richardson. With years of experience as a personal injury lawyer and auto accident attorney, regardless of your need, they can help.